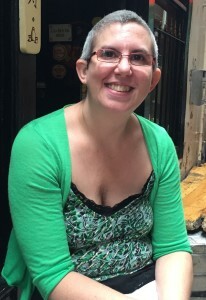 Nóra Skehan is an Irish writer of Science Fiction and Fantasy. She lives in County Kildare not all that far from a magical wood! I have always been a day dreamer and love making up stories. I write fantasy and science fiction for children and adults and am also a poet. On the rare occasions when words fail me, I turn to clay – that is I sculpt with clay. I graduated with first class honours from American College Dublin with a Master’s Degree in Fine Arts in Creative Writing in 2015. The Magical Forest at the Bottom of the Hill! which weaves traditional Irish folklore into a modern setting in the very special, very magical town of Bally Rua, somewhere in the South-East of Ireland. I am working on publishing these at present – turns out writing them was the easy part  – however, as soon as I have any news I’ll post it here! I’ve got lots of other ideas up my sleeve and am working on both a children’s and an adult’s project at present. Enjoy Nora Stories . Wishing Nora all the best .